We offer support in english, spanish, italian. 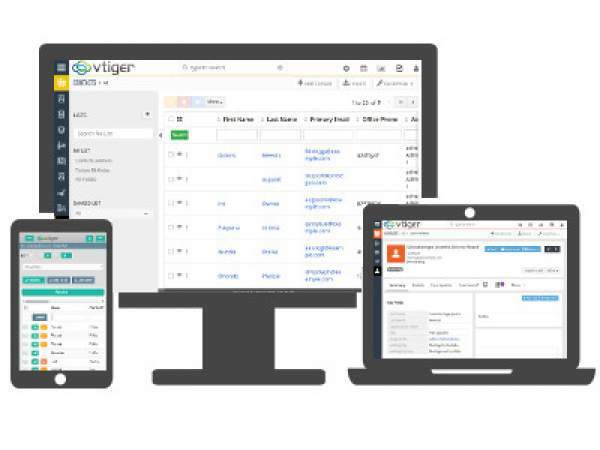 BePo Theme, the ultimate responsive vTigerCRM 7 theme available for 7.0.0, 7.0.1 vtiger versions. 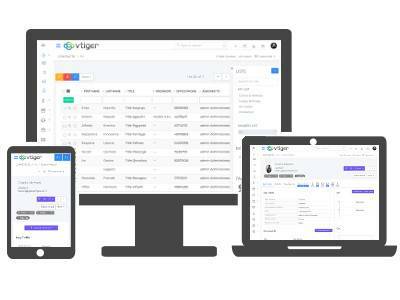 We finally came out with BePo Theme, the ultimate responsive vTigerCRM 7 theme, with a lot of new features, and big improvements to existing features. First of all, we completely redesigned the Menu Sidebar on the Left, improved the user experience design, moved to the right the List Sidebar, redesigned Module List, Summary, Detail and Edit View, and all this with a new Clear and Powerful Design. 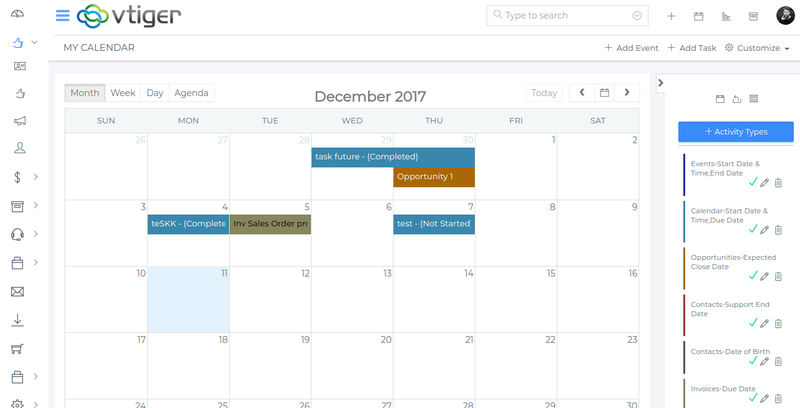 Fully compatible with most popular VTExperts modules: Listview colors, Masked fieldinput, Tooltip Manager, Job Scheduler, Field Autofill, Advanced Menu Manager, Related Block & List, VTE Custom Builder, VTE Custom Login. [MYC Customer Portal] With MYC Customer Portal can I get support included? Yes, support and updates are included in the license price. [MYC Customer Portal] Does the MYC Customer Portal manage the payments? How many payment gateways are available? [MYC Customer Portal] So in VTIGER then I would allow my customer to access the portal, and the email that gets sent out, it usually has the password and the link to the portal. by installing your version, will I have to amend the auto email to reflect the new link? No, the credentials are the same. [MYC Customer Portal] Is it possible for my customers to download and upload a document to the CRM using MYC Customer Portal? Yes, you can enable the download and the upload action for every module, even custom ones. [MYC Customer Portal] Can I install in the root of CRM? No, you can't. 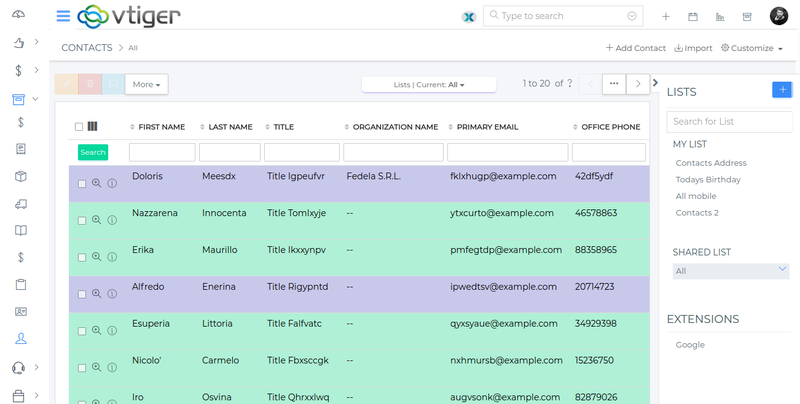 You can install it in any subfolder and any subdomain of your CRM. [MYC Customer Portal] Does the MYC Portal PRO offer themes? Or will the themes be bought extra? [MYC Customer Portal] I want to offer my portal-user to edit only specific fields from his (contacts) fields. In other words: to choose fields portal-user can see. With version MYC Customer Portal PRO you can choose any field you want to display or edit for any module, even custom modules, without touching a single line of code. [MYC Customer Portal] With which vtiger version is compatible the MYC Portal? 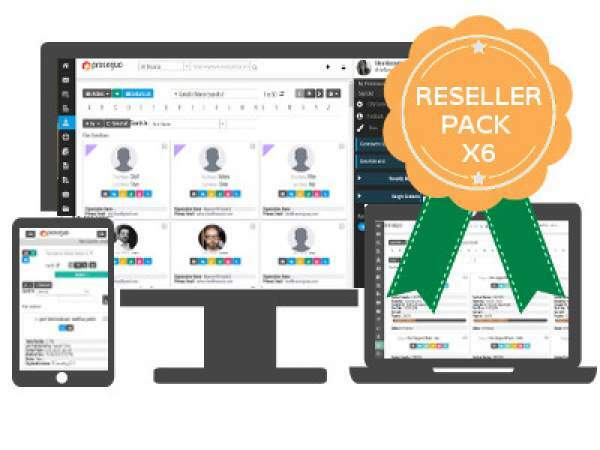 Your customized portal is actually compatible with vtiger 6.x and 7.x, we will expand the compatibility with older versions and other CRM really soon. See complete FAQ Page here! A new clean and clear beautiful responsive theme available for 7.0.0, 7.0.1 vtiger versions. Valid for Mazzy theme , First Level Support for the first year, New Releases and Regular Updates. Try now 14 days for free, no payments or credit cards required! Please fill all the required fields to proceed! This email address has been yet used to activate a trial license, please extend your subscription from our customer area! After you'll submit this form you'll receive an email with all the instructions on how to get started immediately using your new MYC Portal. © 2014 - 2017 MakeYourCloud™ . All Rights Reserved.